The Saint Marys, Georgia, Kiwanians host a huge fall festival, but the star attraction is a shrimp. It’s ridiculously early in the morning. The sun flirts with the idea of rising over the historic city of Saint Marys, Georgia, and the birds and bugs create a jarring cacophony that provides an ideal backdrop to the morning events. Because even though it’s still somewhat dark, there’s quite a bit of commotion on the street. Look up information on Saint Marys and you’ll find that it’s known as “the gateway to Cumberland Island National Seashore.” But that’s not what’s bringing all the excitement to town today. Nope. It’s the other reason you’ll find in your research: the Saint Marys Rock Shrimp Festival. This festival, held in the fall when, presumably, the weather is a bit cooler (depends on whom you ask), pays homage to the area’s most famous tiny celebrity: the rock shrimp. Kiwanians and other volunteers work countless hours to make the Saint Marys Rock Shrimp Festival a success. Visitors to the festival, such as Jason Cain (pictured at left with his son) get more than just a delicious seafood dinner. There’s music, shopping, a parade and, of course, the 5K and children’s races, to name a few. And the Saint Marys Kiwanis Club has stumbled upon the perfect fall festival by inviting the rock shrimp to be the star of the show. “The rock shrimp is sweet, and people line up for one of these meals,” says 2012-13 Saint Marys Kiwanis President Chris Thurner. The Saint Marys Rock Shrimp Festival, celebrating 42 years this year, draws 5,000 to 10,000 people and nets about US$14,000 for the club. That money goes directly back into the community for a host of projects. To name just a few: There’s a Thanksgiving dinner feeding hundreds of families, a Star Student and Star Teacher program, college scholarships, a Christmas toy project and a reading project. The Kiwanis Club of Saint Marys does more than boil up shrimp for a fundraiser once a year. Club members are active all year in numerous activities, such as the annual Thanksgiving food drive, where they feed about 100 families. The club also stages the annual “Christmas for Camden Kids,” buying gifts for children in need in Camden County, Georgia. The club donates money toward the purchase of books for this project and also helps with transportation. As Thurner tells about the club’s involvement in the community, most of the club members are scurrying around the streets, checking on vendors, setting up signs, directing traffic, selling T-shirts, pointing runners toward the start of the 5 and 10K races, answering questions about the parade route and, maybe most importantly, putting on aprons to begin the spotlight task of the day: cooking. “We’re not just giving money—we’re hands-on, big time,” Thurner says. It was Jason Cain and his family’s first visit to the Saint Marys Rock Shrimp Festival. Cain, of Floyds Knobs, Indiana, ran the 5K and also the mile run with his son. It was an experience he won’t soon forget. Walking through the crowd, Kiwanis members stay busy with the day’s events, but still find time to say hi. There are lots of laughs. Handshakes. “See-you-laters.” It’s a tight-knit community; that’s obvious. As the parade passes by, the scene is like something straight out of a movie. It’s so … small town. Everyone here seems to know one another. Waves aren’t just thrown out to strangers in the crowd; they’re thrown out to best friends. Teachers. Students. Church members. Neighbors. Moms and dads and grandparents. Sailors marching in the parade carry kids on their shoulders and salute veterans in the crowd. There are even a few dogs. Back under the shade of a wooden pavilion, Kiwanis members assigned to the cooking crew squeeze past one another. A few people are mixing batter for homemade hush puppies. Two others are cutting, breading and cooking the fish. Another four or five are handling the rock shrimp. And another handful are packing the food and handing off to volunteers who act as “runners,” taking the food to the hungry crowds waiting in line. Even while standing over a steaming pan of oil, frying up the rock shrimp to a beautiful golden brown, Kiwanian Allen Rassi has time to pour his heart out about why the club comes back here, year after year. VIDEO: TO WATCH, CLICK THE PHOTO BELOW. 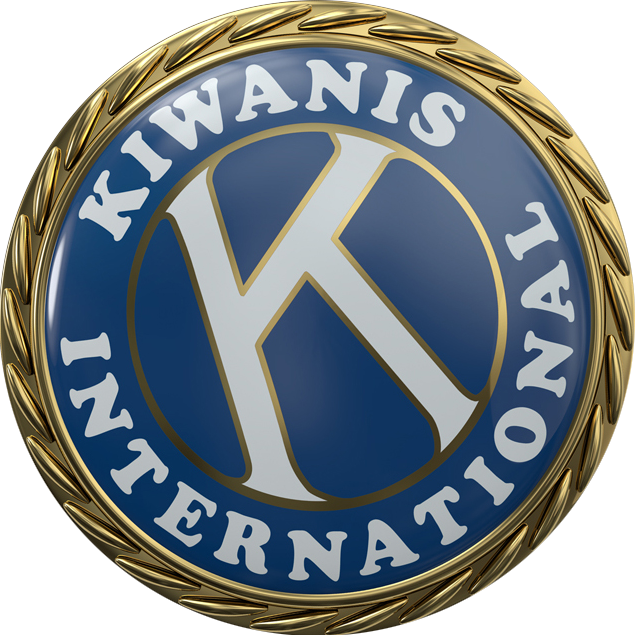 This story originally appeared in the August 2014 issue of Kiwanis magazine.